This house is full of character. 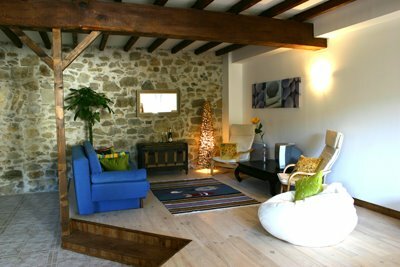 Once used as a farm shed in the beginning of the century, it's now newly converted into a spacious three bedroomed luxury town house with exposed beams and enough stone walls not to make it too dark. 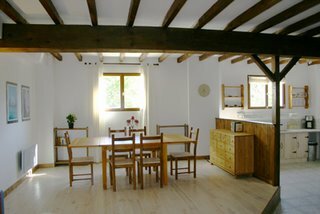 The downstairs consists of an open plan lounge, dining area that is raised on a wooden limewashed deck and fully equipped kitchen with a downstairs toilet. 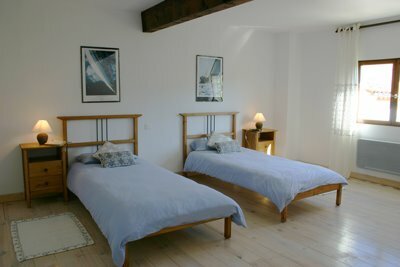 The upstairs has three spacious bedrooms with laundry room and bathroom with separate shower and bath. The house has a lovely view overlooking the the famous chateau on top of the hill and Puivert village with the river running through it . 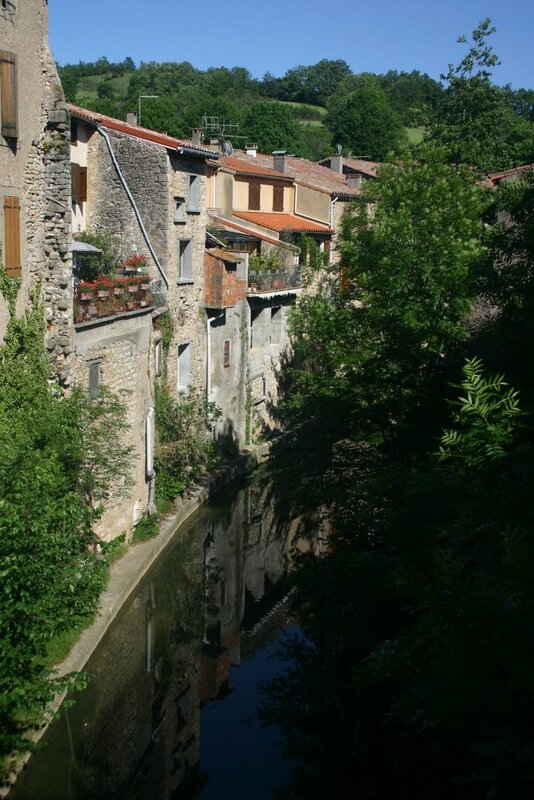 In the heart of the Cathar region and on the art route, Puivert is a little village full of character, charm and natural beauty. 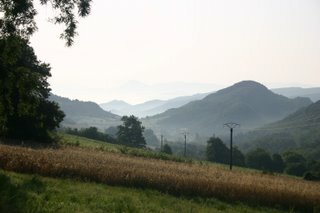 With its own lake at the foot of the Pyrenees there is plenty to see and do. Whether it's an active holiday you desire or a relaxing one Puivert has it all. Relax by the lake with it's own sandy beach where you can cool off with a nice swim while taking in the stunning mountain scenery, write your postcards at the lakeside cafe or maybe try some gliding at the local airstrip! 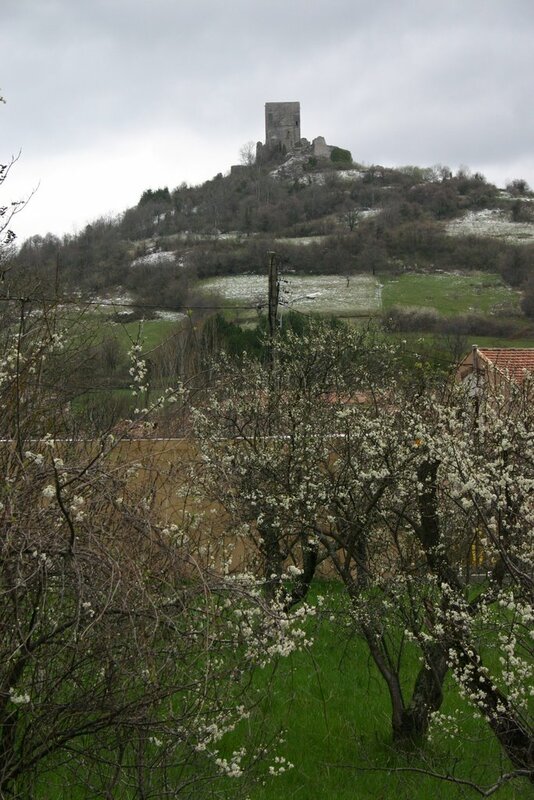 If it's culture you're after, the XIth Century Puivert castle is just a 15-minute walk away. The village itself has a little mini market where you can get your essentials, a post office, bakery, cafe/bar/tabac, and two restaurants. On Wednesdays in the summer months there is also a little market selling local handicrafts. There is also a museum in the village where you can learn about the Cathar history and the Quercorb musicians. In July the village celebrates 'Bastille Day' by having choreographed fireworks to music over the lake! 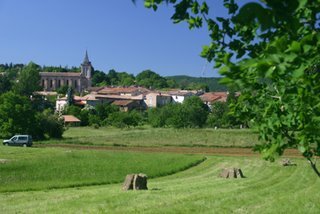 The bigger village of chalabre is only 10 minutes away where they have a doctor, dentist, banks, chemists, petrol station and more bars and restaurants. If you feel like going further a field there is plenty to do in the surrounding area. 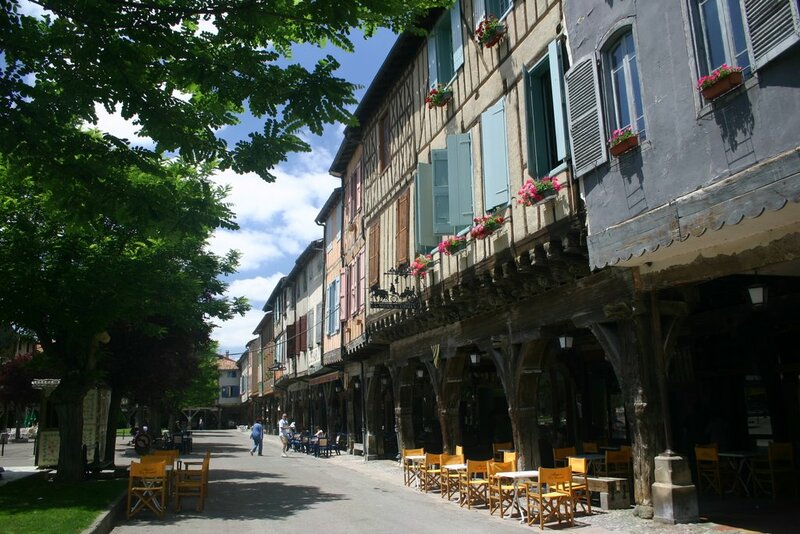 The medieval city of Carcassonne is only 35 kms away where in the summer months joisting is held and the medieval market town of Mirepoix, where a market is held every Monday, is only 20 kms away. There are also numerous chateaux to visit, just a hop, skip and a jump away! 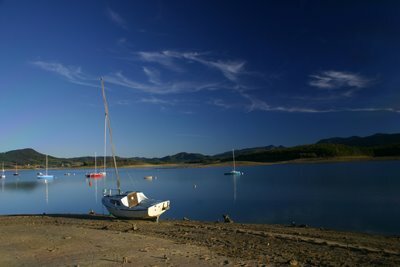 Lac Montbel is 15 minutes drive away, which is a beautiful blue lake where you can kitesurf, sail or just picnic on one of the beaches. Also Quillan is 10 kms away where you can top up your adrenalin with whitewater rafting. 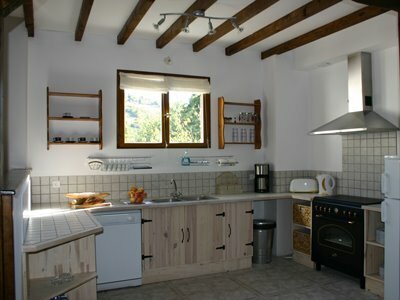 Puivert is also a short drive to Spain, Andorra and the beaches of the Mediterranean. 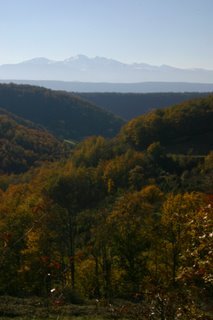 In the winter months Puivert is close to numerous ski fields, the closest one only 20 minutes away. Aude is a region full of history and natural beauty. With the Pyrenees and the Mediterranean Sea the countryside is full of beautiful gorges, serene lakes, mountain vistas, caves with under land lakes and lush pine forests surrounding mountain plateau while the coast has beautiful long beaches. 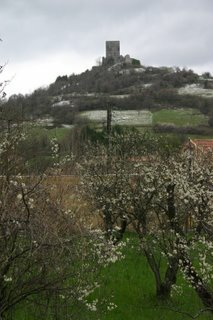 As the climate has an average of 300 days of sunshine a year, there are plenty of vineyards to visit and taste the very popular 'Blanquette de Limoux', which is an excellent sparking wine. 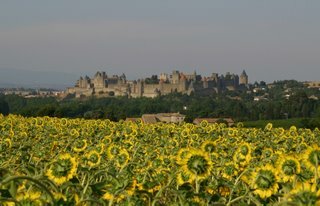 The region is also steeped in ancient Cathar history with plenty of chateaux to visit and beautifully kept medieval towns for example Carcassonne which is said to be the best kept in Europe and the ancient market town of Mirepoix with it's beautifully kept square where a market is held every Monday. The Canal du Midi also winds it way through the region where you can cycle along the tree lined paths or rent a barge and try you hand at the locks! If it's photography that you're interested in, this is a photographer’s paradise! With the many vineyards, sunflower fields, mountains, lakes, chateaux ect., you'll need plenty of film! 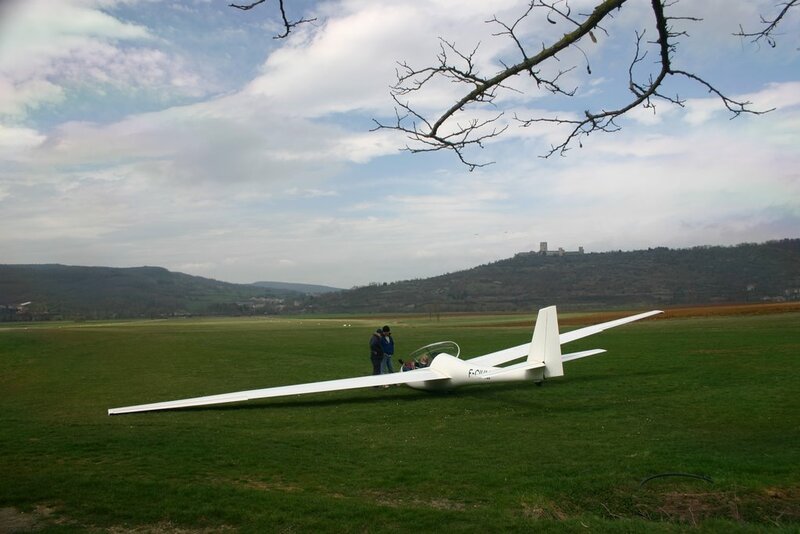 As you can imagine with this type of scenery comes all the activities associated with it. There is whitewater rafting, kayaking, rock climbing, caving, abseiling, mountain biking, cycling, fishing, hiking, horse riding, sailing, canoeing, gliding, skiing, snowboarding and many more making this region truly versatile for anyone!